The legislature had until Sunday, April 23, or 105 days to complete its work during the regular session. While we were able to pass some good bills to help move our state forward, we have not yet passed a state operating budget or resolved how we will amply and fairly fund our state’s K-12 education system. Gov. Inslee called the legislature back into session on Monday – a special session lasting up to 30 days. Both the House of Representatives and the Senate have passed their operating budget proposals. These budget proposals represent different values and outcomes for our state. The Senate Republican budget relies on a $5.6 billion property tax that would impact every household in our state. This budget plan also proposes dangerous cuts to the most vulnerable in our community – the homeless, low-income families, the elderly, and those living with disabilities. Democrats in the House of Representatives have a budget proposal that includes a more equitable revenue structure and invests this money in our kids and our most vulnerable. It’s time for negotiators to come to the table and begin the process of negotiating a go-home budget. We cannot and must not accept a budget proposal that funds our kid’s education on the backs of our most vulnerable. On one of the last days of the regular session, Senate Republicans held votes on two revenue bills. These two bills – the capital gains tax and the business and occupation tax – are a couple of the proposals that are included in the House budget. Bringing these bills to a vote knowing they would fail was nothing more than a political stunt. These tax proposals could help reshape our state’s tax structure to make it more fair. No bill should be a pawn in a political game. Sadly, on one of the last days of the regular session, that is exactly what happened. What’s happening during Special Session? On Wednesday, day three of the Special Session, the Senate Ways & Means Committee heard testimony on Senate Bill 5929, an omnibus bill of the House’s revenue proposals. The hearing room and two overflow rooms filled with people wanting to testify on the bill, both pro and con. I was proud to hear from so many students, social workers, educators, and small business owners who support the bill. They know our children are our future and need more support in the classroom. 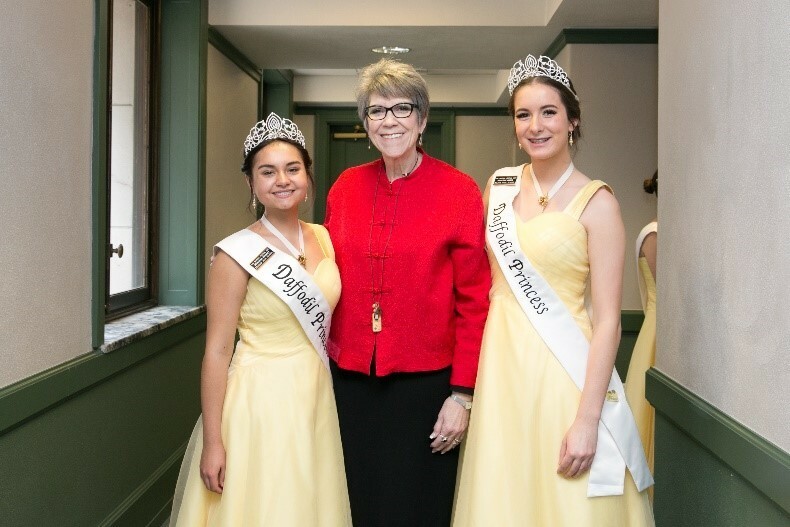 I always enjoy the visit from our Pierce County Daffodil Princesses. This year, I was pleased to welcome Princess Bridget from Stadium High School and Princess Amaya from Wilson High School. I know both of these talented young ladies have a very bright future. I hope you will continue to contact me with your questions, comments, and ideas about how we can improve our district and our state.